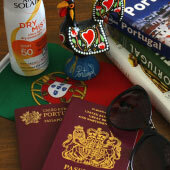 Faro or Tavira for a holiday? 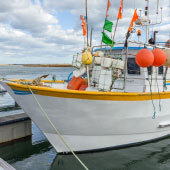 Tavira and Faro are both popular tourist destinations that located along the beautiful Algarve coastline. 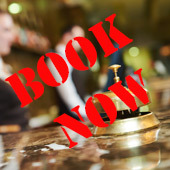 Faro is situated in the centre of the Algarve, close to the main international airport while Tavira is to east, halfway between Faro and the Spanish border. 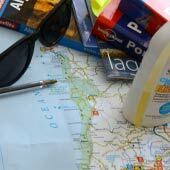 Faro and Tavira are both great holiday destinations and this guide will compare them and identify which is more suited for your holiday. Which has the better Beaches? The beaches for Tavira and Faro are located on the sand bar islands that bound the inland water ways of both towns. This means that neither town has a beach that can be walked to and a short ferry ride is required. Tavira has a single massive beach while Faro has three separate islands. Generally Tavira is regarded as having the better beaches but for a purely beach holiday (with minimal character) head to Albufeira or Praia de Rocha. 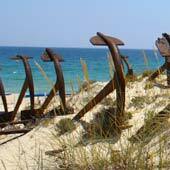 The best beach in Tavira is the Praia de Tavira, while our favourite is the Praia do Barril and the anchor cemetery. Which is the more charming and traditional? Faro contains a pretty historic centre surrounded by the ancient Moorish walls but Tavira is by far the more enchanting. Tavira is located along the banks of the Gilão River and pretty house line the narrow cobbled streets. Tavira boasts a relaxed ambience that is difficult to find else were in the Algarve and a selection of interesting historic monuments. Better location for exploring the region? Faro is the main administrative centre and transport hub for the Algarve. 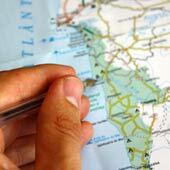 If you are after a holiday that attempts to explore the whole of the Algarve plan to be based close to Faro. 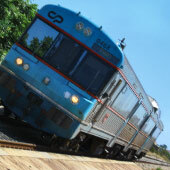 The regional railway departs to all locations along the coastline from Vila Real in the east to Lagos in the west, though some of the journeys are painfully slow. 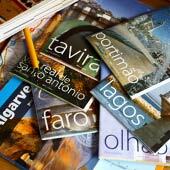 Tavira and Faro are more mature holiday destinations and not really suited for families. The beaches are not close to the town centres and the more children friendly activities (Zoomarine, Splash and Slide etc) are to the west of the Algarve (eg Lagos). If with children always select a hotel with decent family facilities and be warry of the very intense summer sun. 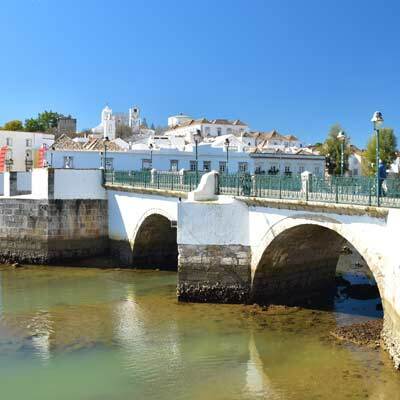 We prefer Tavira over Faro; Tavira is a delightful town, with better beaches and an enjoyable relaxed ambience with numerous open air restaurants and great bars. Tavira has managed to maintain its traditional appeal even in the advent of mass tourism, whereas Faro feels like a bustling city than a holiday destination. Faro main advantage is that it is close to the airport and makes for an ideal first destination in a tour of southern Portugal.